Olaplex is an advanced state-of-the-art technological bond replicating system to repair damaged hair Perth clients have been requesting for years. The treatment actually multiplies your hair bonds as it is colouring your hair. Blond, bleach, no more breakage. Literally repairs hair as it is processing. 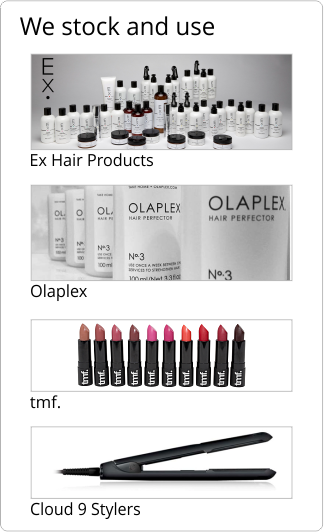 Olaplex may be used even without having a hair colour service. Breaking, snapping hair? no problem. Olaplex will fix that. Unlike a lot of imitations out there Olaplex is a true bond multiplying hair repairer. Not an enhanced treatment service that is great on the day but loses its effect after a few weeks. Suitable for any hair type even if you do not have colour. The best way to add health and vitality to your hair. NEWSFLASH - We now carry LaBiosthetique PCC 5 x stronger. In a similar way as described above Labiosthetique is the next generation, but works slightly differently. A great addition to our clients benefit. » Click here for more information about how to repair damaged hair in Perth.